As you can see, it works.... but the scaling is broken. note that even the fps counter is clipped off screen. I tried to reinstall reshade, but to no avail. 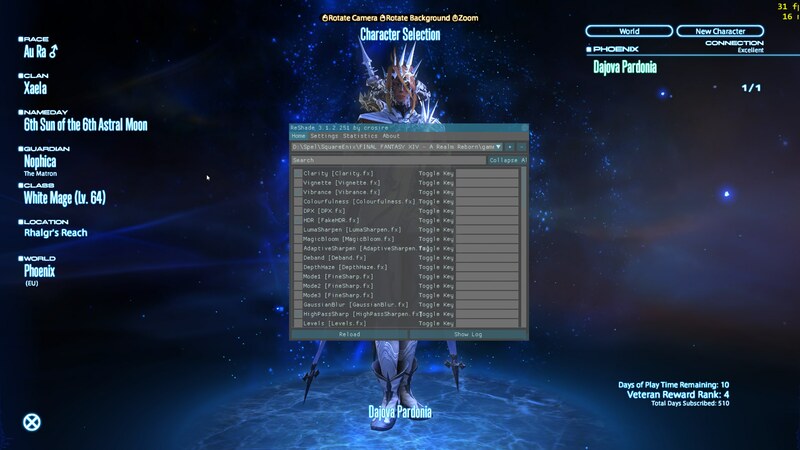 Ctrl + Mouse Wheel to change scaling. Huh weird... I'm pretty sure i didnt change that, but ok. It worked. Thanks! Ok, after restarting the game several times, i've come to the conclusion that it does this everytime it launches the game. It doesn't save the scaling between sessions, it defaults to the hideous large one. Alright, took some time to find the file in question, but found it. not sure why the global font scale was at 1.6x, but fixed anyway.